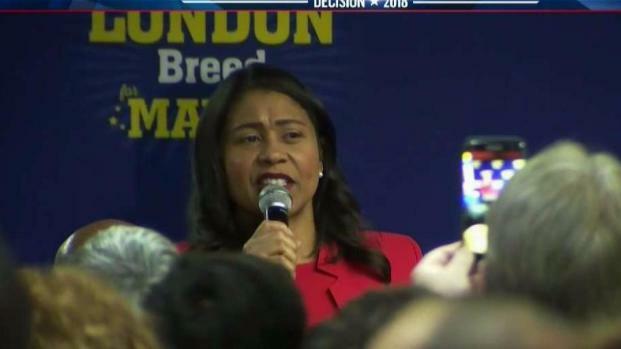 San Francisco Board of Supervisors President London Breed is maintaining her lead in a tight race for San Francisco mayor that remains too close to call. Thom Jensen reports. San Francisco's race for mayor remained too close to call Wednesday as the elections department reported it has about 90,000 more ballots to process. Former state Sen. Mark Leno pulled ahead by the slimmest of margins early Wednesday under the city's unusual voting system, although Board of Supervisors President London Breed maintained her lead in first-place votes. San Francisco uses a ranked-choice voting system that allows voters to select their top-three favorites. The candidates with the least votes are eliminated in rounds until there's a winner; the person with the most first-place votes isn't necessarily that winner. Turnout could top 50 percent, which is high for a gubernatorial primary election that has averaged in the low 30s, elections director John Arntz said. The department expects nearly 13,000 vote-by-mail ballots to arrive by Wednesday and can accept ballots through Friday that are postmarked by election day. A winner likely will not be known for days. The number of voters who turned out Tuesday alone was "presidential," he said. With about 154,000 votes counted, Breed had 36 percent of first-place votes. Leno had 26 percent of first-place votes and Supervisor Jane Kim had 23 percent. But a ranked-choice voting analysis by the elections office showed Leno beating Breed by picking up the second-place votes of Kim. 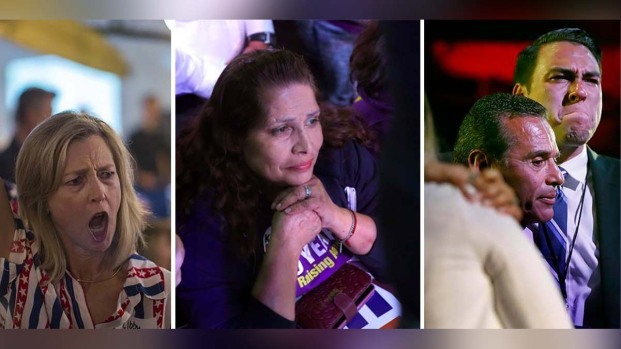 The two had banded together and asked supporters to vote for the other as their No. 2 choice on the ballot. Fewer than 1,200 votes separate Breed and Leno. Leno, 66, would make history as the city's first openly gay mayor. He was the first to enter the mayor's race, long before the unexpected death of Mayor Ed Lee in December, which moved up the race. 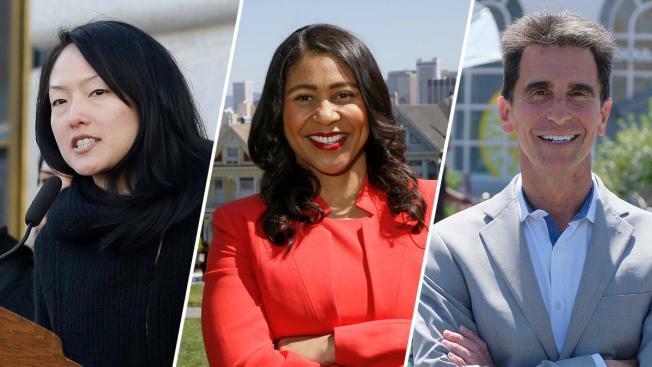 Business community favorite London Breed is continuing to lead in the race for San Francisco mayor, but a winner will likely not be declared Tuesday. Jean Elle reports. Leno was not available for comment early Wednesday, but he was upbeat and even went for a ride in a convertible through the city's Castro neighborhood waving to supporters Tuesday night. "I'm exhilarated for what's coming tonight. We had 300 volunteers contacting every Leno voter, making sure each and every person came out to vote," Leno told the San Francisco Examiner. Breed, 43, who would become San Francisco's first African-American female mayor, was raised by her grandmother in public housing, graduated from public schools and is touted as a local success story. "There's still a lot more votes to count. Everyone has cast their ballots and all we can do is wait and see," Breed told supporters Tuesday. "But I feel good inside." The three leading candidates are all Democrats, but Breed is backed by the establishment business community, and Leno and Kim are favored by more liberal elements of the party, including tenants and critics of tech companies such as Airbnb and Uber.